We threw one of my good friends a couple’s baby shower over the weekend. One thing that simply amazed me? 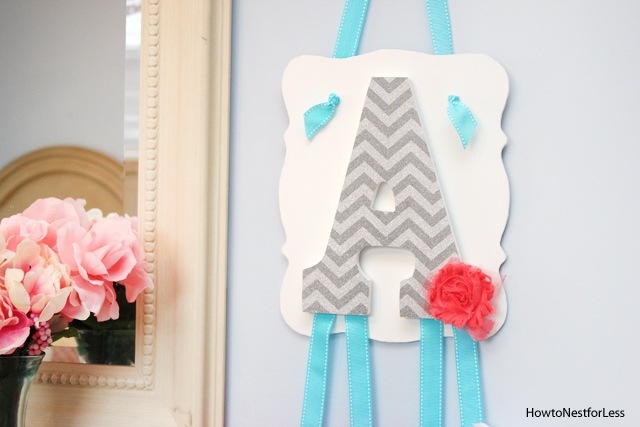 Every single girl handmade a gift for the expecting mama… and it wasn’t planned! Yeah, bloggers and Pinterest definitely inspire people these days! 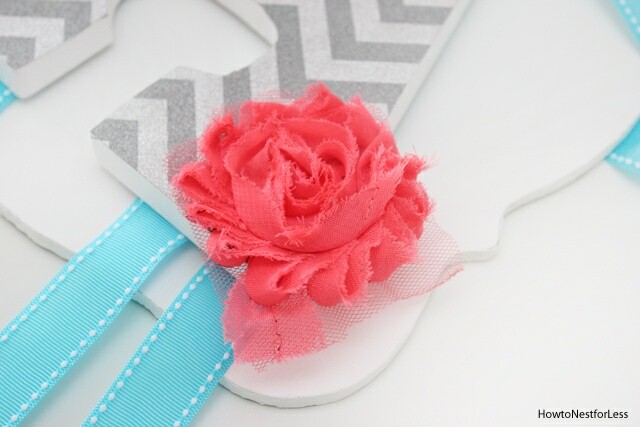 Well one of my gifts for the mom-to-be was a Monogram Hair Bow Holder for her baby girl. 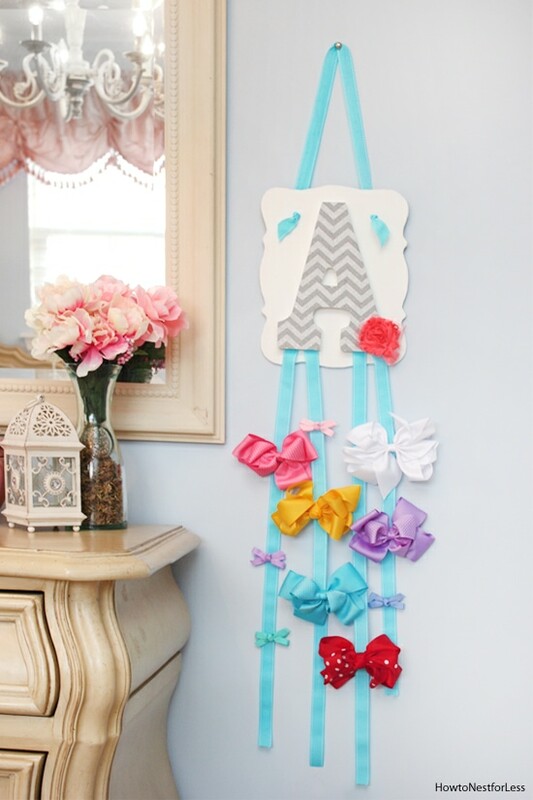 Super easy to create and customize to fit any nursery decor! 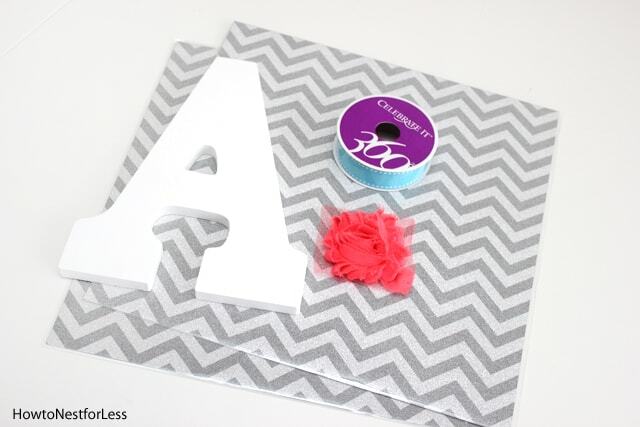 So to get started I covered the letter in Mod Podge and stuck it to my gray chevron scrapbook paper. Next I trimmed around the edge using an exacto knife. 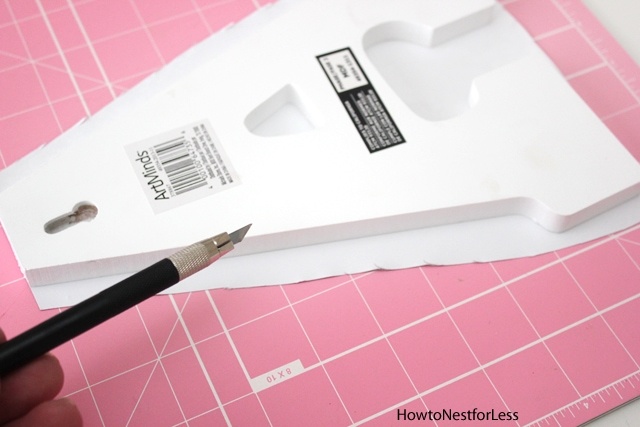 Great for getting in those little crevices… just make sure the blade is sharp. Then I trimmed four long pieces of ribbon and hot glued them to the back of the monogram letter. 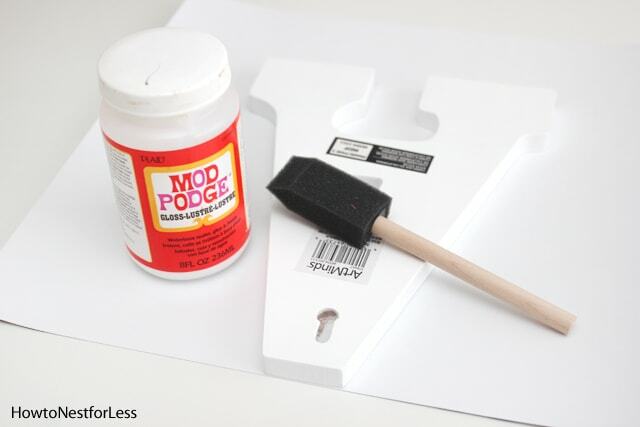 Onto the next step… I painted the wood plaque white and drilled two small holes in the top (you’ll see why later). 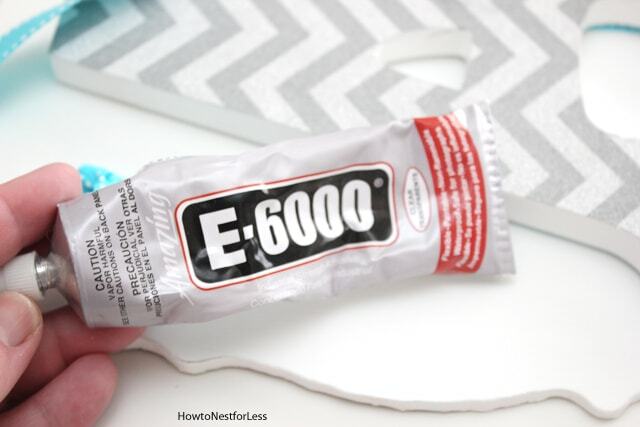 Then I used e6000 glue to adhere the monogram letter to the white plaque. Once that dried I cut another piece of ribbon and tied it through the drilled holes of the plaque for hanging. And of course I had to add a little flower for a pop of color and some bling! 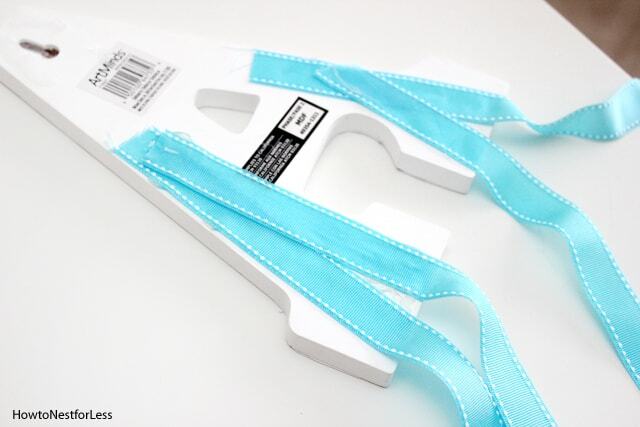 And then the hair bow holder is ready to hang! 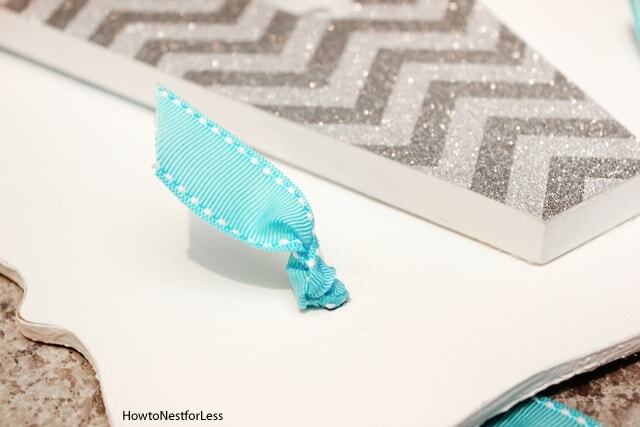 Nice personalized gift that you can create in any color scheme. 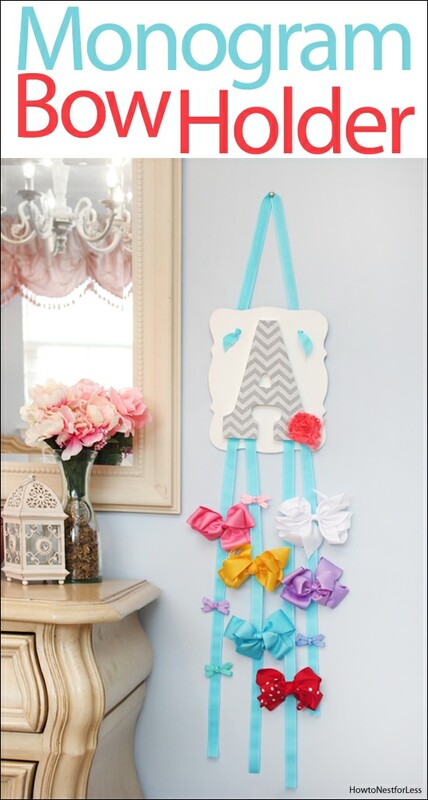 Great for a baby shower present, birthday present for a little girl you know, or just your own kid’s bedroom! How fun that everyone handmade something. Your project is so cute and colorful. I’m sure it was a favorite gift.